I made this little yarn tree a few years ago… before I was in the habit of taking photos of every single step of my projects. However, this is so easy, I can just tell you how to do it. 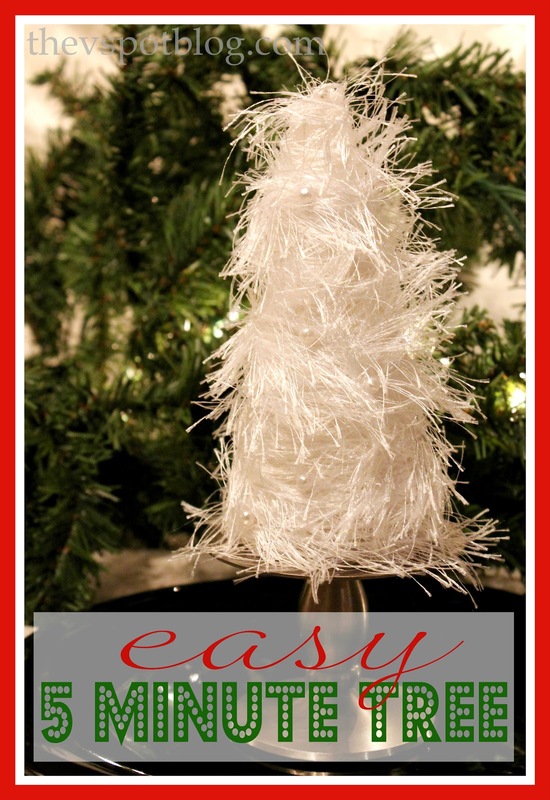 Put a dab of hot glue at the base of the cone and secure the end of the yarn. Wind the yarn up to the top of the cone, randomly putting little dabs of hot glue here and there to keep it secure. Finish up at the top of the cone with another dab of hot glue. 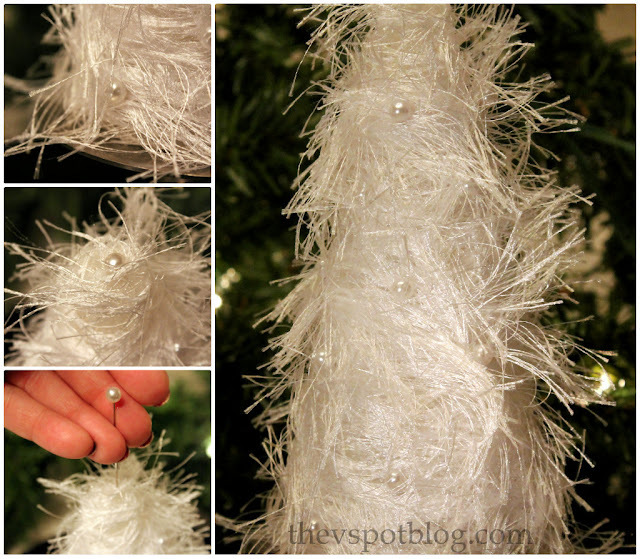 Add the floral pins to the top and then in a fairly even pattern around the tree. Set the tree on a candleholder. I glued mine down, but you don’t need to. Several of them together make a cute centerpiece. Seriously, if this takes you longer than 5 minutes to put together I would be very surprised. So easy and so beautiful! Well that’s simple and cute!